An African-American seamstress and early civil rights activist, Parks purposely violated a Montgomery, Alabama, city ordinance by refusing to relinquish her bus seat to a white man. 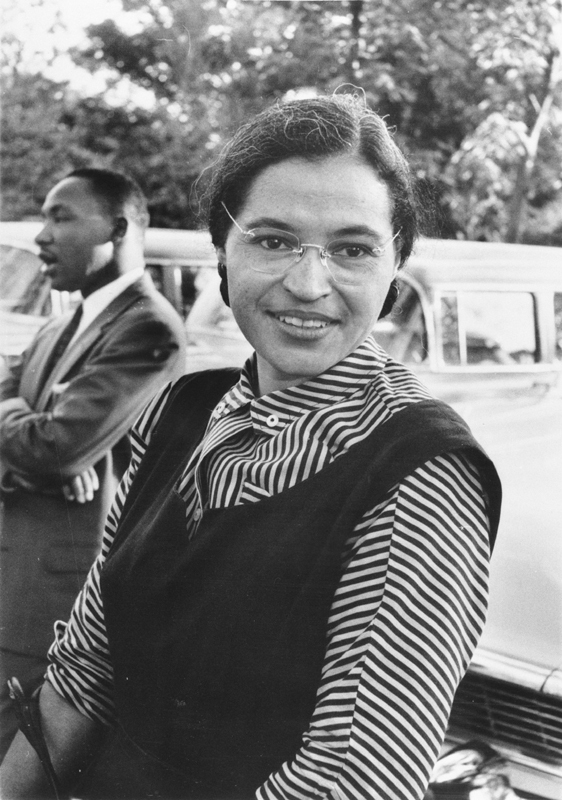 Her arrest triggered the Montgomery Bus Boycott, which lasted more than a year and forced the integration of the city’s buses. The boycott became the framework within which the early national civil rights movement was organized in large part under the leadership of the young Dr. Martin Luther King Jr.